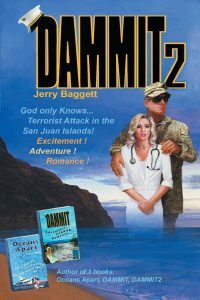 Please to announce the release of Dammit 2. It is another seastory by request. Available at Amazon, visit Amazons page at Amazon. An action thriller novel published by Covenant Books. Marine Major Dammit McGowin stared intently at photos taken from security cameras immediately after the bomb exploded inside ‘Cinderella Children’s hospital’. He could hear the children screaming. He felt the concussion, smelled the burning flesh, understanding first hand, what they were going through. Attractive Dr. Robin Goodrich missed the fairytale life she shared with the handsome tough-guy, returning from deployment. Her passion for Dammit exceeded only by her desire to treat her underprivileged children needing medical care. Fawaz Abu-Sabra, the ruthless terrorist leader believed himself unbeatable. Until he encountered the hard-principled, Dammit, A man equally without mercy for those willing to slaughter innocent children and their care-givers. 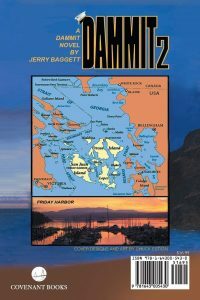 Terrorists seek refuge in Washington State’s beautiful San Juan Islands. God only knows- the depth of their sickness.